The FC Barcelona first team returned to work on Monday after a rest day on Sunday following their excellent 5-0 away win at Sporting Gijón on Saturday. 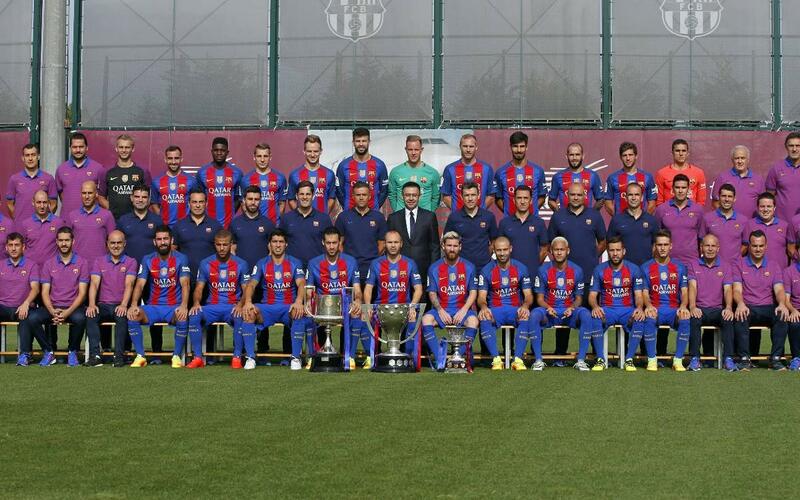 Before preparations began for their Champions League clash on Wednesday with Borussia Mönchengladbach, the first team squad and the coaching staff, along with president Josep Maria Bartomeu had the official photograph for the 2016/17 season taken. The photo session took place at the Camp Tito Vilanova at the Ciutat Esportiva amidst the usual smiles given the excellent atmosphere that reigns within the first team squad.